I often get emails from new producers asking for feedback on their music. Me: Hi New Producer. I really like this track, however I think certain things need to be changed *list problems* Touch it up if you’d like, but I highly recommend you get straight to work on your next track! Many new producers possess this false logic that states that a track must be good if it took long time to make. They start each project with the goal to make it a masterpiece, and they view any negative feedback as something that undermines their hard work. Now, quality is important to focus on. Don’t get me wrong. But if you’ve been producing for 0-18 months you should be thinking about quantity rather than quality. In this post, I’m going to share three reasons why, if you’re a new producer (0-18 months), this should be your focus. Electronic music production is a craft that encompasses many different skills: you have to compose musical ideas, arrange them, design sounds, and mix the song down. By focusing on quantity you develop these skills faster. 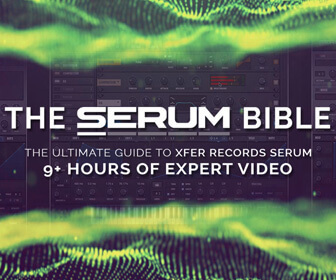 If you make ten tracks in three months—you’ve composed, arranged, and mixed down ten times. Compare this to the person who makes one track in three months, only going through each process once. Focusing on quantity over quality leads to higher quality quicker. A basketball player does not become good by taking 5 minutes per shot, he becomes good through repetition—by doing the same thing over and over again. A music producer does not become good simply by putting all their time and attention into one song over a long period of time. A music producer becomes good through repetition and high output. The more music you make, the better you’ll become. The quality of your music might be 90% compared to 100%, but it doesn’t matter, because the “90%” level of quality that your next track possesses will be equal to the 100% that would be achieved by spending months on a single track. One of the most common problems I hear from producers—new and experienced—is that they struggle to finish tracks. More often than not, this occurs because they’ve fallen into the destructive habit of “non-finishing.” It starts with one project being abandoned, then another, and before long the producer has become so accustomed with not finishing tracks that to go against the grain and actually finish something seems impossible. By focusing on quantity you’re finishing tracks by default. You’re not stressing over minor details. You’re not purposely trying to something that sounds bad, of course, it’s still important when focusing on quantity to make something good, but if push comes to shove, you’ll do what you need to do to finish the track and not fall into the disastrous pit of perfectionism. Quality is important. We should all strive to make music that sounds great. However, as you know by now, the most effective way to produce high quality music is to first focus on quantity. You develop skills faster, have a higher chance of coming across a great musical idea, and you’re more likely to take such an idea to completion. Struggling with writer’s block? 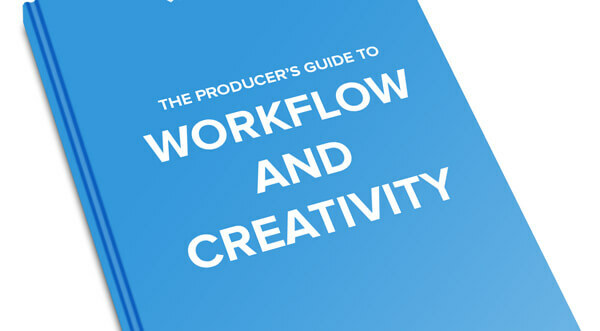 Check out the Producer’s Guide to Workflow & Creativity. – Sam Matla is an electronic music producer and the founder of EDMProd, a site dedicated to helping electronic dance music producers develop their skills and make better music. He’s just released The Producer’s Guide to Workflow & Creativity which solves common creative problems that producers and artists encounter.